Benedict Funeral Directors has a close connection with Houghton Regis as we have a funeral home in the town. We are pleased to be able to offer good value-for-money undertaker services to the local residents of Houghton Regis and the surrounding area. Our funeral home is located in Bedford Square Shopping Centre, Houghton Regis, LU5 5ES. Our Florist “Benedict’s Flowers for All Occasions” is also located in Houghton Regis. See our website Benedict’s Flowers for All Occasions or call the shop on 01582 249843. Our new Funeral Home is located in the town’s shopping centre, accompanied by our new Flower Shop. Our funeral home in Houghton Regis has it’s own chapel of rest, which affords people the ability to spend time with their loved ones prior to the funeral. Houghton Regis is usually served by The Vale Cemetery & Crematorium. The full address is Vale Cemetery & Crematorium, The Vale, Butterfield Green Road, Luton, Bedfordshire, LU2 8DD. Whilst Luton Crematorium is older than other Crematoriums, such as the one in Stevenage, it is very well maintained and presented. An alternative crematorium is Bedford Crematorium, located at 104 Norse Road, Bedford, MK41 0RL, for families requiring a slightly larger facility than that offer at Luton (for funerals where a very large number of people are expected to attend). Of course, cremation is not the only option; there are different cemeteries available for burial. Benedict Funeral Directors are more than happy to discuss this with you. Houghton Regis has its own cemetery and its fee structure can be viewed by clicking on this Houghton Regis Cemetery. 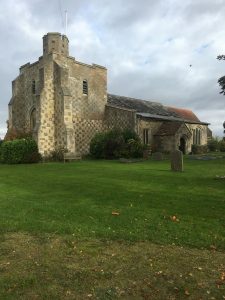 Houghton Regis also enjoys a Church of England church known as All Saints. Funeral services can be held here. The parish administrator can be contacted at, The Vicarage, Bedford Road, Houghton Regis, LU5 5DJ. Call our Houghton Regis Funeral Home direct on 01582 249268.